and Why buy my Vitamins and Supplements from my Chiropractor? What is care of the human frame? The frame is the skeleton. Who are the doctors of the skeleton? Doctors of Chiropractic. To become a D.C. you must take all the prerequisite classes an M.D. would except calculus. Upper Cervical Chiropractors like myself have to study Calculus however to analyze a patients X-rays and come up with their “listings”. Do Medical Doctors study Nutrition? No they do not! Unless they take it as an elective and unfortunately that is rare. Do Oncologists study nutrition? Do they know the healing power of vitamins? Sadly, the majority do not. But they will be the first to say vitamins and supplements are of no use or are even dangerous. Because Nutrition is not a required class in Medical School and all the research that isn’t junk science which has been carried out looking at the effectiveness of vitamin therapy isn’t archived in the Library of Congress where MD”s’ look but instead is isolated to a few journals. One of these journals is “Orthomolocular Science” To understand this further, please see the documentary “Food Matters”. An MD will assume that vitamins and supplements don’t really work because the only studies one can read about them on Pub Med are studies where not enough of the substance were given to have any therapeutic effect at all or synthetic vitamins were given which were ineffective and even toxic! Chiropractors study vitamins that are easily absorbed by the body. They are concerned with learning which companies organically grow and handle the plants with care and that have a real respect for the earth. These are food based supplements and vitamins These are seen as food by the body. We study food based supplements that are bio- available to your cells. What can you get that is at your local drugstore in the way of vitamins and supplements? Most are synthetic and not recognizable by the body, they are not bio-available to your cells. Pharmaceutical companies know that there is far more money in selling drugs than that of vitamins. Their research dollars go into drugs and not the supplements they sell. That is why you can get some pretty bad vitamins and supplements in a drug store. In a drug store there is no one there to help you navigate what you need nor if your body actually wants it. You need to be tested to see this. Most people need a Chiropractor to help them get tested as to what vitamins and supplements they need to stay or get healthy. Did you know if your Vitamin D levels fall below 40 ml/dl you can have low back pain? Did you know if you buy an isolated Vitamin B like Niacin (B3) or B6 and take it without taking a B Complex, you throw the whole cascade of B vitamins off in your body and set up more deficiencies? Did you know your liver does over 400 functions every day and if you don’t have enough B vitamins then the liver can’t properly do its job of detoxification and fat metabolism? What kind of problems do you think the body will have if it can’t do these things? Do you think difficulty losing weight and toxicity could be a result? Do you think gallstone accumulation could also be a result? Chiropractors have more training than anyone who has taken a 2 year certification class to become a nutritionist, for example at Bauman College. We must study all the building blocks of the body starting with a year of Chemistry, a year of Organic Chemistry, and a year of Biochemistry. Plus Biology, Anatomy- (2 years of it) and Physiology and Pathology. Embryology is also required. In Holistic Nutrition you learn- the way the body heals is by the way it was formed. That is why healing the gut first is critical to all other healing of the organs. A 2 year certified Nutritionist has not studied these subjects! Don’t you want someone who has studied how your body was made to advise you on how to keep forming healthy cells? Cells become tissue, tissue becomes organs. Most 4 year Nutritionists have not studied all these subjects and their training tends to be more mainstream medical and not as holistic as a Chiropractors training. 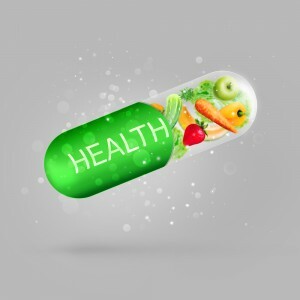 Chiropractic school has a year of Nutrition as a core curriculum for everyone and we are licensed by our state board to advise on vitamin and supplement therapy and food. We must do 24 hours of continuing education for our license and a vast majority the classes offered center around Nutrition. That is hundreds of hours of post-doc training in Nutrition done by Chiropractors over just a 10 year period if they have been in business as long as I have. As a Registered Nurse- a four year BSN- I also had to take a year of medical nutrition which was very different from the Holistic Nutrition I later studied. Well, I think the 2 questions at the start of this post have been answered and if you feel it has not, I would be glad to give you time during a Nutritional Consult at 120$ per hour.